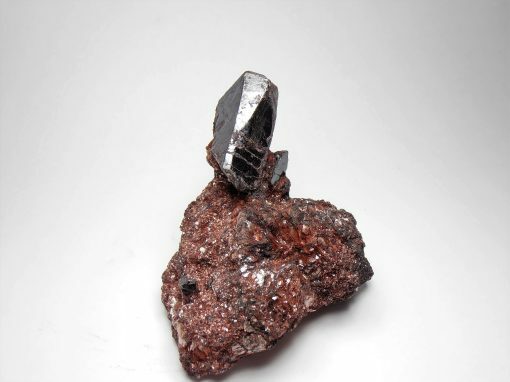 These rutiles are from the Graves Mountain Mine in Lincoln County, Georgia, USA. This open pit operation was mined for the recovery of kyanite. 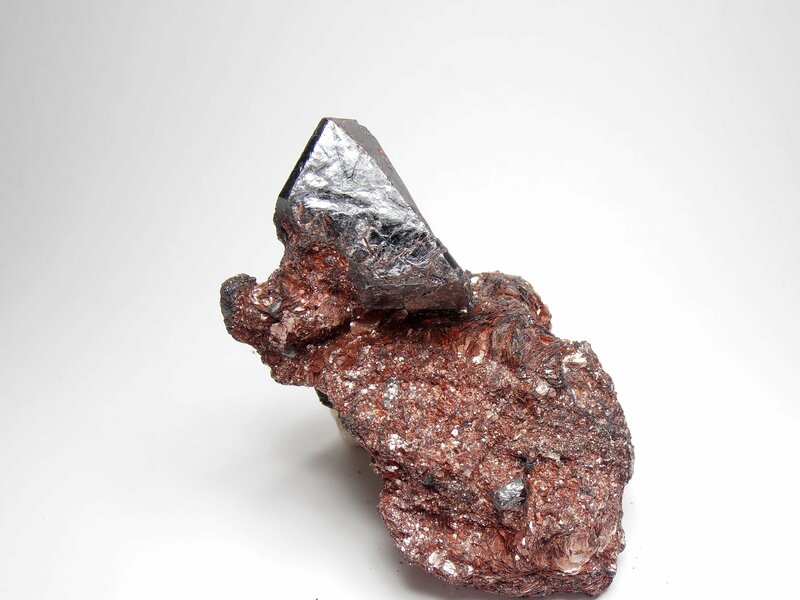 It contains 36 different mineral species and is famous for the world class rutile specimens found there. 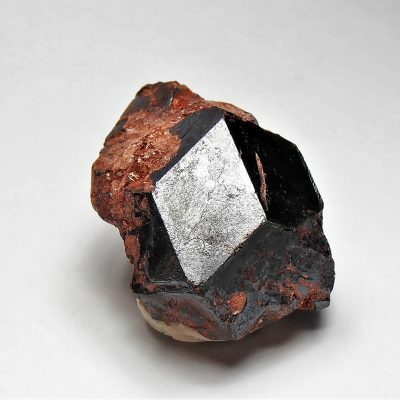 It is an oxide mineral that contains the elements Ti and O. 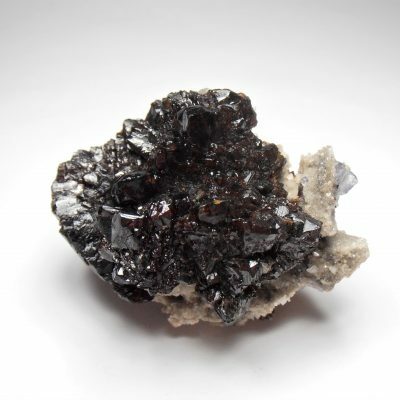 This specimen consists of a mixed matrix of hematite and mica that hosts several rutile crystals. 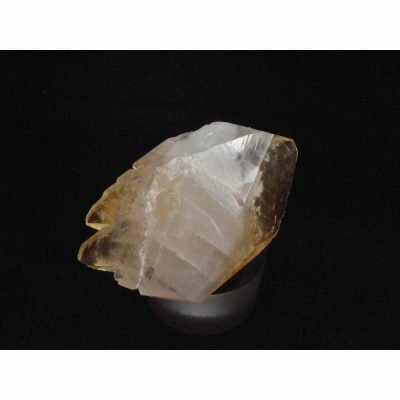 The larger crystal measures 30 mm. All the rutile crystals have a mirror luster. This piece measures 2 1/2 x 2 x 1 3/4 inches or 64 x 50 x 45 mm as displayed in photo 1 mm.